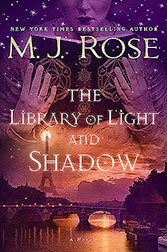 M.J. Rose is the author of the new novel The Library of Light and Shadow. 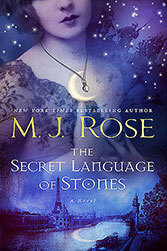 Her many other books include The Secret Language of Stones and The Witch of Painted Sorrows. She lives in Greenwich, Connecticut. 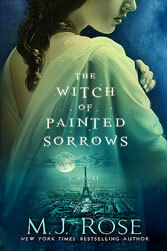 Q: This is the third of your Daughters of La Lune books. Did you know when you wrote the first book that you’d be writing a series? A: ​They aren't really a series at all - each is a stand-alone book that takes place in a different time period with a different member of the family and are written to be read in any order at all - or just one. I have about a dozen stories I want to tell about various members of this family though time - that I'm going to be coming back to over time. Q: How did you come up with the idea for your main character, Delphine, and for her artistic gift? A: ​I saw a series of paintings done by an artist I admire names Stephen Mackey and the idea came quickly - I was mesmerized by the paintings. Q: What kind of research did you do to write this book, and did you learn anything that especially surprised you? 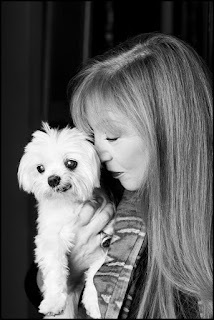 A: ​I do so much research for each book - much of it reaching original source material written during the period. I try to really live in the period and become obsessed with finding out tiny details - most of which never make it into the book. I wasn't surprised as much as fascinated by all my reading. The Jazz Age was so radical - coming right after World War I, people were tying to escape the horrors they'd seen and heard about and lived. Their efforts led to so much art and music and literature. And women were living through a very liberating time and exploring their newfound freedom with gusto. Having basically had every job on the home front during the war, they weren't so anxious to give up what they'd discovered about themselves. Q: Do you usually know how your novels will end before you start writing them, or did you make many changes along the way? A: I keep extensive Pinterest boards as inspiration before, while researching, and while I'm writing the book and readers always find them really interesting. Here's the one for The Library of Light and Shadow.